Multiple Grammy-winning reggae legend Ziggy Marely continues to diversify his creative outlets. Next up is the musician’s foray into the tech space. Following this year’s release of his latest Grammy nominated album, Ziggy Marley, and publishing a cookbook of personal and family culinary favorites, Marley will delve into virtual graphics, introducing the world’s first line of reggae-themed emojis. 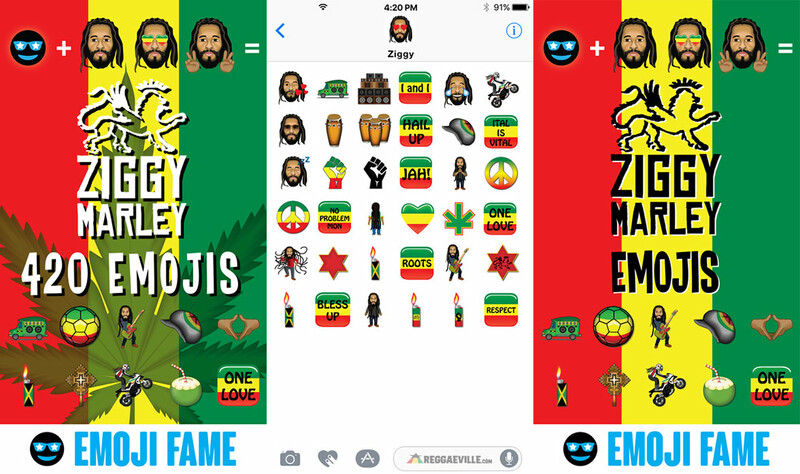 In a partnership with Emoji Fame, Marley curated and developed two series of the popular communication icons inspired by and reflective of the reggae culture and lifestyle, as well as Ziggy’s own particular interests.